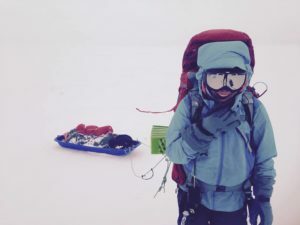 In February 2017, Callie Morgigno set off with teammate Charlie Walker on a 5,500 mile adventure along the perceived border between Europe and Asia from the Russian arctic to the Bosporus strait in Turkey. It was a triathlon over 9 months as they skied through the Ural mountains, kayaked the Ural river, and cycled along the Black Sea coast to the finish. They call their expedition Following the Line and you can learn more about their journey at followingtheline.com. Callie is a seasoned traveler, having trekked across Mali by donkey, hiked through parts of Afghanistan, and cycled solo across Asia. Callie Morgigno, welcome to The Pursuit Zone. Listen to Charlie Walker talk about his cycling adventure in Episode 087.